A kimono style robe with a simple wrap over style and deep sleeves. 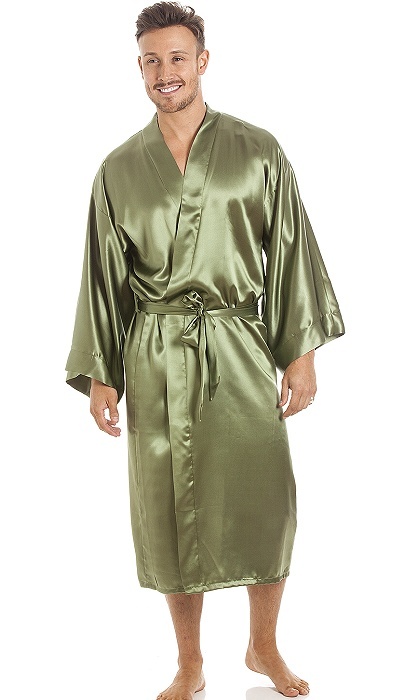 Generously cut in high quality silk satin. Approximately 35" / 90cm long. Usual price £89.